The comic world has been experiencing a measurable growth in readership over the last 10 or so years, particularly that of the children’s graphic-novel category—a 24 percent growth in year on year sales, according to Nielsen. One of the effects of this boom is that it’s boosting the visibility of female readers and female creators like Raina Telgemeier (Sisters, Smile, The Babysitters Club) and Noelle Stevenson (Nimona, Lumberjanes). For a long time however, content aimed at 10- to 14-year-old girls had been severely lacking. Thankfully, that is changing. One of the publishers leading the charge, Papercutz, is launching a new imprint for tween girls. Charmz debuts today with three new titles—Chloe, Sweeties, and Stitched—and three more set to be released in the fall. The line is being edited by bestselling writer and editor Mariah Huehner, formerly of IDW Publishing and Vertigo/DC Comics. 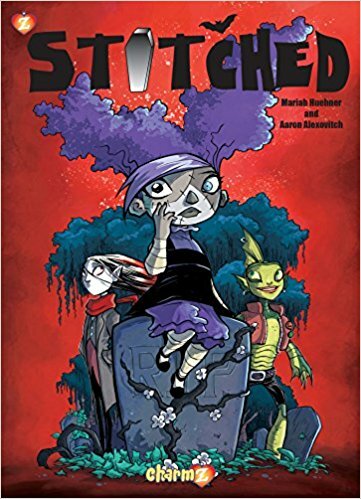 Stitched, penned by New York Times bestselling author Mariah McCourt (Emily and the Strangers) and beautifully drawn by Aaron Alexovich (Serenity Rose, Eldritch!) piqued my interest right off the bat. 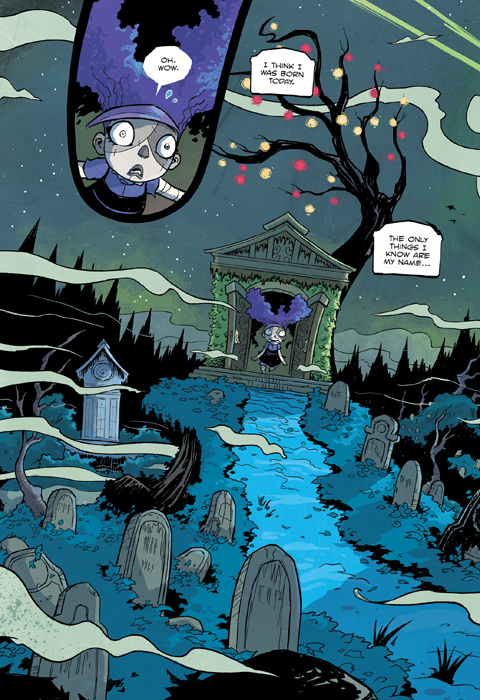 A light-hearted supernatural thriller, its art style—reminiscent of Invader Zim, another creation of Alexovich’s—fit the atmosphere perfectly. Our protagonist is an enigma; waking up in a crypt, she has no clue as to who, where, or what she is. The only thing she does know is her own name: Crimson Volania Mulch. We find ourselves exploring Assumption Cemetery, and it’s not long until we encounter more of the classic monsters we’ve all grown up with. With a varied supporting cast—a shy, artistic werewolf named Wisteria; an overconfident but well-meaning witch called Parameter; and two boys, Simon and Quinton, who would seem to be vying for Crimson’s affections—this series has me buried (sorry for the dad joke) in the engaging story. Chloe, by Greg Tessier and Amandine, is the English-language debut of a successful French young-adult series chronicling the life of Chloe Blin, a normal young girl who loves her family. She learns life’s lessons, often the hard way, when she starts at a new school. 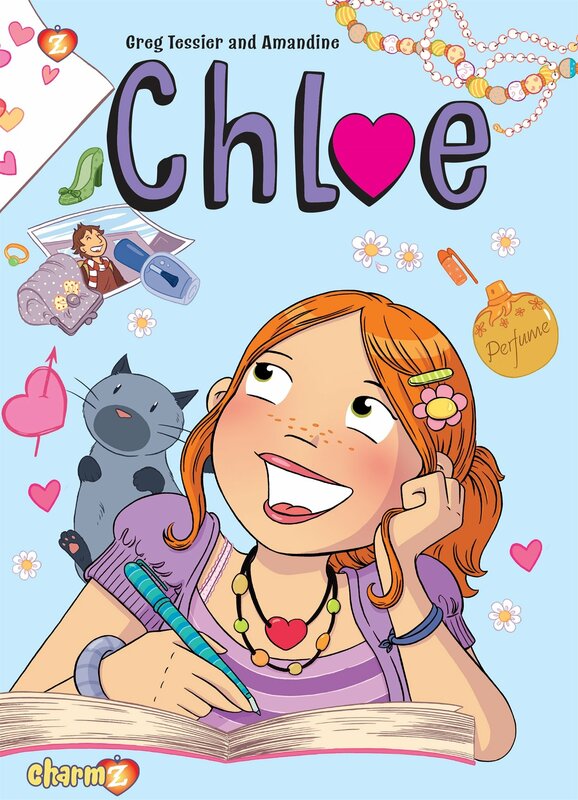 The constant struggles of fitting into cliques and discovering what true friendship (and sometimes love) are things we’ve all grown up with, and Chloe resonates with those thoughts and feelings that readers young and old can relate to. 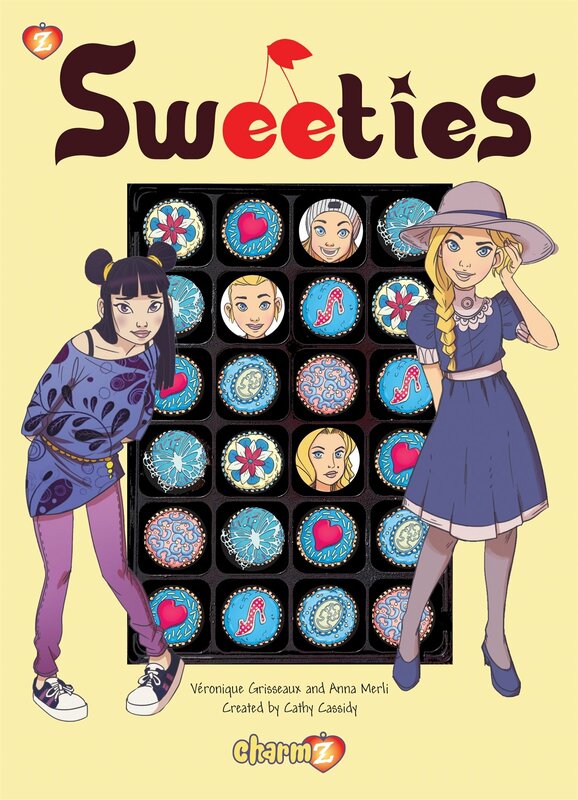 Sweeties, an adaptation by Veronique Grisseaux and Anna Merli of Cathy Cassidy’s Chocolate Box Girls book series, explores the drama of stepsisters in a newly blended family. It starts off with Cherry Costello moving on from her old life to her new one, and discovering that finding your place in a new family can be challenging—especially when romance strains those already tense relationships. The second story revolves around a girl named Skye and her deep interest and revelations regarding her family’s history; as she delves deeper, she searches for that one true love, appearing where she least expects it. While I may not be part of the target tween demographic, I enjoyed all three of these fantastic stories, with their unique art styles that complemented the overall themes of each of the titles. Chloe, Sweeties and Stitched are out now; Ana and the Cosmic Race, Scarlet Rose, and GFFs hit the market this fall. You can read more about the Charmz lineup here. Chris is a freelance 3D artist and game developer. When not working, he enjoys exceptional storytelling in any format, whether literary, audiovisual, or as a video game. Hailing from New Zealand, he traversed the pond (read: Pacific Ocean) to reside here in Minneapolis with his partner.